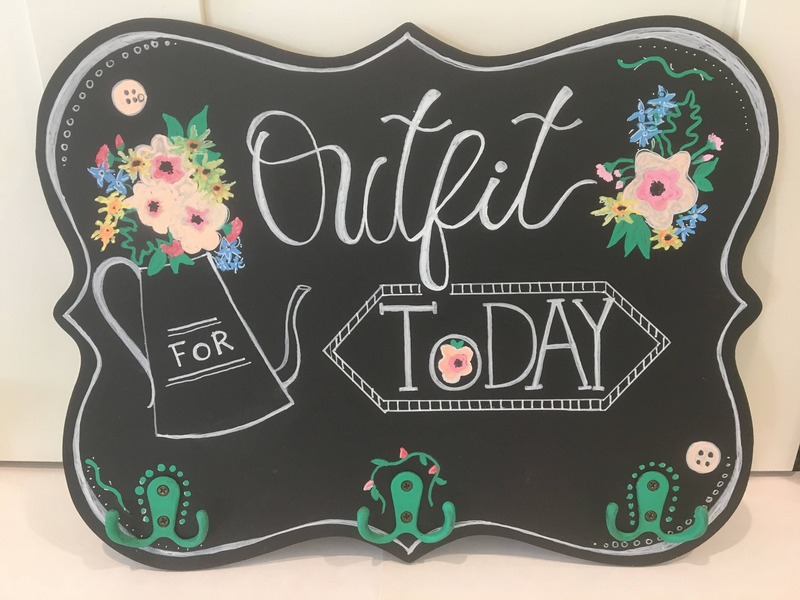 Outfit for Today rack is perfect for organizing your next outfit! It is especially great for picking out school clothes and making mornings much smoother! 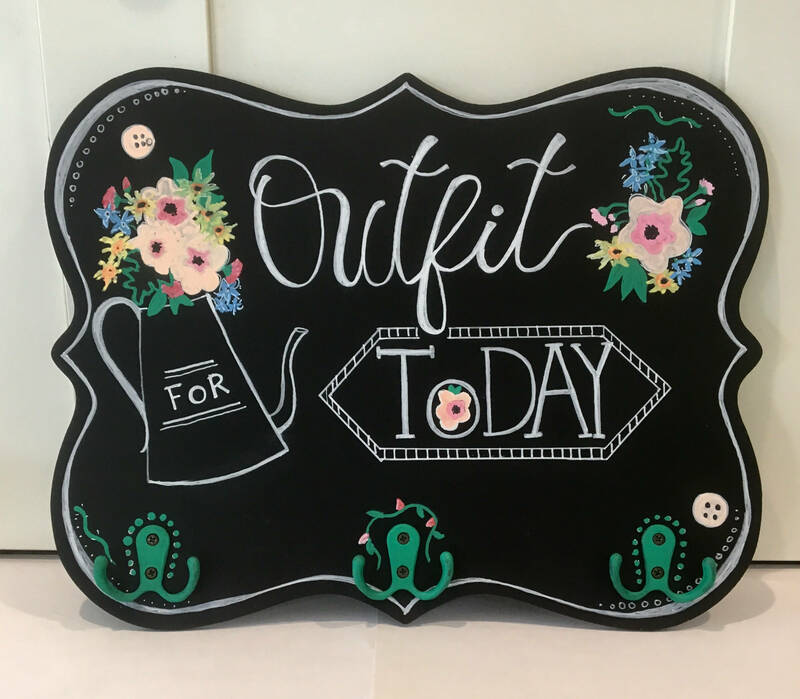 The hand painted chalk sign has three small hooks attached for hanging your outfit, accessories, and more. This is a Matilda Jane + Joanna Gaines inspired! I can customize one to be any theme or design you prefer! Makes a fun and modern storage area for any space. Takes 1-2 weeks to create before shipping. I can create a custom rack similar to this if requested! Contact me with any custom order ideas!